The 10 Best Museums in Colorado! Colorado is home to a variety of museums that cater to the history nut, science enthusiast or even automobile fanatic. What makes the museums listed here so special is their attention to both the cultivation of an atmosphere for learning as well as a creating a space that is truly fascinating. Museums in Colorado were first established to store and exhibit the state's natural wonder, such as significant geologic rock samples and native wildlife specimens. Now, museums dedicated to art, science and history can be discovered all across the state. Here are the 10 best museums Colorado has to offer. 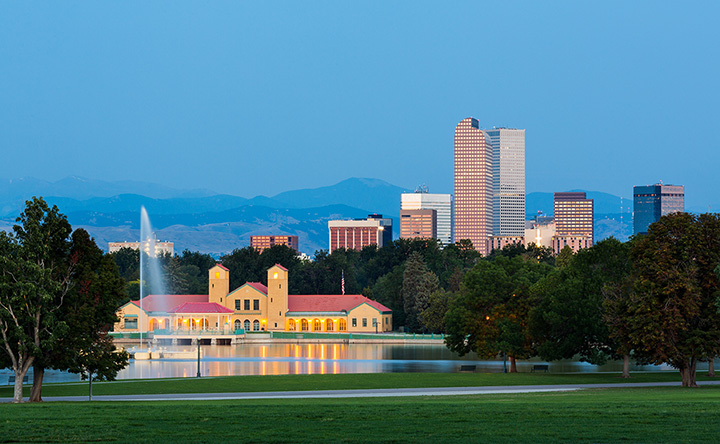 Located in Colorado's biggest city, the Denver Museum of Nature and Science has been educating and exciting the public about science and history since 1907. This museum features fun and kid-friendly exhibits, including 89 wildlife dioramas, a planetarium and showcases on gems, minerals, dinosaurs and Egyptian mummies. When you are tired of walking around the thousands of square feet of museum space, enjoy an IMAX theater or the café. This popular museum has permanent collections as well as new, temporary exhibits. Located an hour north of Denver, the Fort Collins Museum of Discovery combines interactive exhibits and collective showcases about science, history and culture. Learn about the science of sound, watch an educational film in the dome theater, discover wildlife in Fort Collins' natural areas, and experience the history of native peoples. Kids and adults alike will find inspiration and learn something new at the Fort Collins Museum of Discovery. Established in 1874, the Colorado School of Mines Geology Museum is home to an extensive collection of rocks and minerals. This museum has exhibits on mining, fossils, gemstones, meteorites, and ultraviolet minerals. The two-story museum is located on the campus of the Colorado School of Mines. The outdoor geologic trail is not to be missed, as it showcases fossilized dinosaur tracks and plants. Opened in 2011, the Clyfford Still Museum invites guests to view the life and art of American abstract expressionist Clyfford Still (1904-1980). Mr. Still's work was hidden from public view for 30 years, until Denver was chosen to house this influential painter's collection of art and personal belongings. Guests can view 3,125 Still works, including his incredible paintings, some of which were made on canvasses 15 feet tall. The Clyfford Still Museum also boasts incredible views of Denver and Colorado's foothills through the museum's outdoor space, which is complete with a second-floor terrace and a peaceful garden. The Children’s Museum of Denver at Marsico Campus has been introducing kids to science and art for more than 40 years. All of the exhibits feature hands-on learning for children and infants. The museum's Kinetics! exhibit, one of the most popular showcases, encourages kids to learn about physics in a fun and unique way. However, the Joy Park, a giant outdoor adventure, shouldn't be missed as it allows kids to play and embrace the outdoors. The Denver Art Museum has grown from a small collection in a converted school bus to a 9-acre campus in a unique and artistic building. Known for its Native American art, this museum boasts over 16,000 pieces of art found from over 100 tribes in the United States. However the Denver Art Museum doesn't just stop at Native American art; find impressive displays on Asian art, modern American and European paintings, and Spanish Colonial collections featuring art and textiles. Known as Colorado's official air and space museum, Wings Over the Rockies Air & Space Museum has over 50 aircrafts on display. Wings Over the Rockies, located in a World War II-era hangar built in 1939, covers the history of aviation and space exploration from World War I to the present. The Apollo Command Module can be found here, which was a replica that was used to train astronauts for the Apollo missions. The Museum of Contemporary Art in Denver has no permanent exhibits. This contemporary art museum changes its showcases every two to four months, which means that there is almost always something new to discover here. The museum hosts art from regional, national and international artists. Enjoy the museum's sustainable building built with stunning skylights and natural lighting that seamlessly add Denver's streetscape to the galleries. Known as one of the most visited historic sites in the state, the Molly Brown House Museum is actually the restored Victorian home of the "Unsinkable Molly Brown." Molly Brown was a Titanic survivor and Denver native. Exhibits focus on Brown's Titanic story and her philanthropy. This museum is more than just a museum though. The Molly Brown House Museum provides on-site and off-site educational programs for adults and youth. The Forney Museum of Transportation is a unique and comprehensive collection of mechanisms used for transportation. Boasting over 600 artifacts, museum guests will find a variety of historical and modern transportation devices, such as trains, planes, automobiles, bikes, buggies, carriages, motorcycles and even sleighs. Most notably, the museum is home to an extensive Corvette collection and Amelia Earhart's automobile from 1923.